As an American gambler, I love to see something different. There are really not a whole ton of fantastic options when it comes to mobile gambling on my Android. Many of the sites I go to offer the same few games and really don’t do anything to pull you in. Platinum Reels Casinos avoids this by using a set of software that really isn’t used by that many Internet casinos, and the results are fantastic. 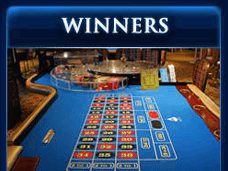 Games feel fresh, and the back end of the casino is good and offers nice banking options and excellent mobile support. It is one of the best casino experiences I have had on my Android. Want the full scoop? Read on to learn more. I had never heard of, let alone played at Platinum Reels Casino and thus had to end up registering an account on my Android. Some casinos can really be a pain to use your smartphone with, but this is not the case with Platinum Reels. Setting up an account is pretty easy here, as I found the entry fields large enough to input the required information into. The whole process of setting up an account is very simple and took roughly a minute or so for me. After getting things registered, I was taken to the log in page where you can log in and select real or free play. Buttons are large and easy to access, unlike many other Android casinos that simply aren’t set up for smaller screens. When it comes to depositing at Platinum Reels, I was a big fan of the many options available. The casino offers deposits through Visa, MasterCard, Fast Bank Transfer, UseMyWallet, GiroPay, PaySafeCard, and Ukash. Unfortunately for me, the only options available to me on my Android were Visa and MasterCard. This is not Platinum Reels’ fault, but is a result of the stringent financial restrictions that Internet casinos have to deal with these days. I ended up depositing through my Visa card on my phone, and the experience was smooth and fast. My deposit was instantly accepted, and I had no issues getting my money in here. This process is one of the better ones I have seen for an Android casino, and I really can’t think of anything better that Platinum Reels could do in this aspect. Platinum Reels is very generous when it comes to their bonuses. The first thing I was met with after logging into the casino on my Android was a message inviting me to a 100% match bonus on my first deposit. I ended up taking the casino up on this bonus, which ended up being pretty easy to implement. While it would be nice if the bonus were instantly accepted on my phone, I am okay with the method that Platinum Reels put into place for the Android system. The way I redeemed the chip was this: I got my deposit into the casino, contacted live help through the phone and told them I wanted the bonus, and they credited the bonus to me. The whole process was pretty simple and I look forward to using my Android to redeem more incentives in the future. Platinum Reels Casino is powered by BetOnSoft, which is a great and unique internet wagering software provider. The move to the Android platform is done very well at Platinum Reels, and the game library is fantastic. In terms of slots, Platinum Reels offers 29 titles. All of the games are uniquely designed and have a different feel to them than any other Android slot that I have played before. Some of my favorite slots here were Wild Berry, Reef Encounter, and Monkey Business. Video Poker is also prevalent here, as there are 11 different games available for real money play. 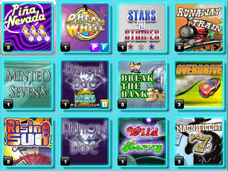 While I am not a big fan of the games, I did end up playing Deuces Wild Bonus and racked up some pretty decent wins. The one big disappointment for me at Platinum Reels is the lack of table games for Android. I feel that even a simple selection of games like blackjack and roulette are superior to having nothing. I really want to see Platinum Reels offering SOMETHING for their Android users, as some people prefer to play table games over slots and video poker. After playing for a two-day stretch on my Android, I ended up deciding to see just how good the withdrawal system is at Platinum Reels. The casino offers bank wire and courier check options for withdrawals, which are both pretty reasonable options in my eyes. I ended up opting to take the check, as it generally would be easier to submit the withdrawal request on my phone. I ended up being able to request the check on my Android, but did have to go to the PC in my basement to be able to print, scan, and upload the identity documents required to get the withdrawal to be accepted. My check ended up coming in the mail within about 10 days after acceptance, which is a reasonable time frame considering the casino is located offshore. Everything cleared easily, and I had no issues with this system. 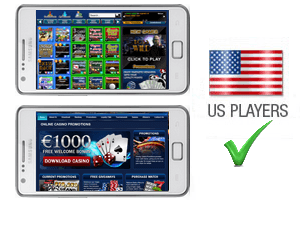 One thing that Platinum Reels has over many other Android compatible casinos is the fact that the customer support is offered through multiple channels, which can be accessed through the phone. The casino supports help through telephone, email, and live chat. While the first two options are to be expected, the live chat is probably the best I have seen in an Android casino before. The chat works flawlessly, and I was able to easily type with my agent on the go. In addition to being accessible, the customer support at Platinum Reels is friendly and knowledgeable. I ended up having the staff help me apply my bonus and also got some answers to casino related questions. I really enjoyed the tone and manner in which the casino reps spoke, and think it lends a lot of credibility to the casino itself. Overall, I feel that Platinum Reels Casino is one of the best Android casinos on the market today. I love the unique game set, nice bonuses, and excellent customer service. I would like to see some table games being added in the future, though.